Gearfuse has always been a huge fan of everything steampunky. We’ve showed you everything from Steampunk AT-AT Walkers to an amazing Steampunk Mr. Potato Head. SteampunkGoggles.com was nice enough to send us two pairs of their awesome Steampunk-inspired eyewear. 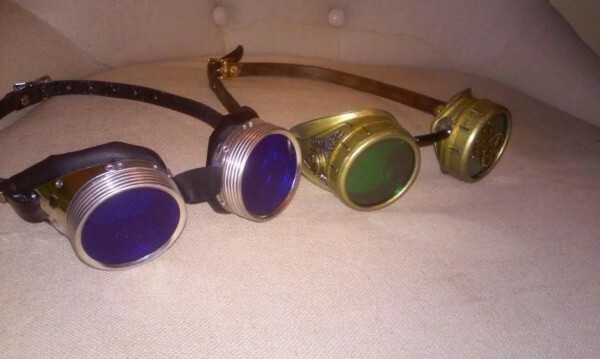 We’ll be reviewing the store’s Metal Goggles with Blue Lenses and the Ship’s Mechanic Brass Goggles with Buttons and Filigree. The first thing I noticed right out of the box is that these things just look plain AWESOME. The Metal Goggles offer the perfect amount of shine, and the Brass Goggles have that rugged, aged look that just screams authentic. The Metal Goggles have a real metal construction and an authentic leather head strap. You can easily tell this pair is the real deal. I noticed immediately that these goggles closely resemble the pair worn by Selina Kyle (Catwoman) on the show Gotham, which just adds a facet of awesomeness I was excited as hell to discover. But what really stood out to me as I was giving these a test run were the rubberized eye cups, which added a level of comfort I wasn’t expecting. 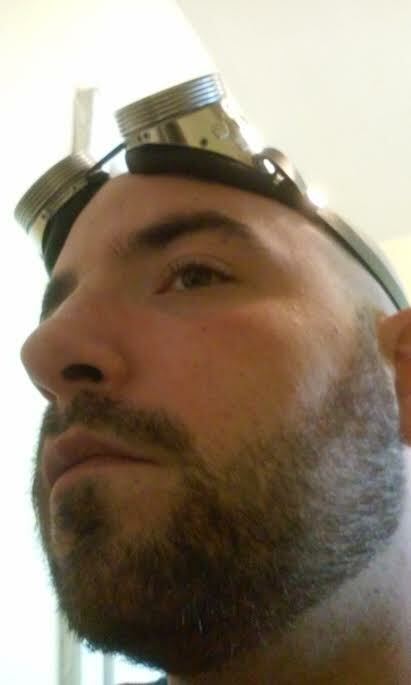 I was sure that at the end of the review the Brass Goggles would be my favorite, as I’m more of the rugged steampunk myself, but the comfort and design really took me aback, and these, by a hair, were my favorite in the design and comfort field. The Ship’s Mechanic Brass Goggles are brass-toned rather than real brass, which helps keep the price down, but also makes them lighter and more comfortable. These felt slightly flimsier than the Metal Goggles, which I think was because the nose piece is held together by a metal chain rather than the Metal version’s leather piece, but that’s not to say they felt flimsy. Even if you know that the construct isn’t made out of real brass, everyone else around you would be hard pressed to tell the difference. The brass tone is very authentic. The Brass goggles do have real brass buttons though, with metal filigree accents that really make the design come together. Just like the Metal goggles, the brass pair has a high-quality leather head strap. 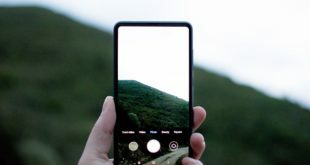 Both pairs have swappable lenses, and the website offers a variety of lens colors to switch out depending on your preference. Both goggles, for their price point, offered a build quality that exceeded my expectations. The leather head straps feel durable and the nose pieces both feel like they could take a decent beating. The only noticeable construction flaw was the plastic-y feel of the Brass goggles. 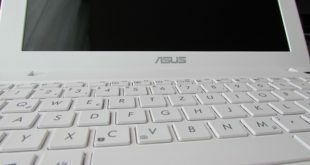 They are not as sturdy as the Metal pair and they feel like age and wear would have more of an effect on their lifespan. But that’s being nitpicky. Both pairs are solidly built and ready to rock right out of the box. 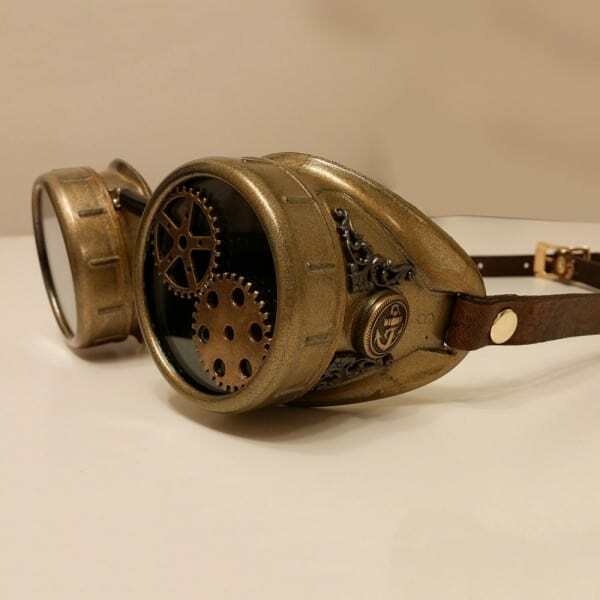 For the price point, you’d be hard pressed to find a pair of Steampunk Goggles that showcases the same amount of authenticity and build quality. Both pairs are priced at $39.95, which makes them both well worth the moderate investment. These goggles have quickly become my choice eyewear for Halloween. 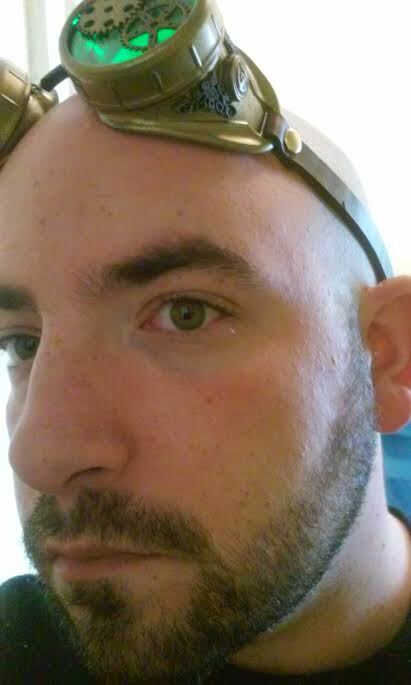 I can confidently recommend these goggles as the best low-to-medium priced steampunk option available. 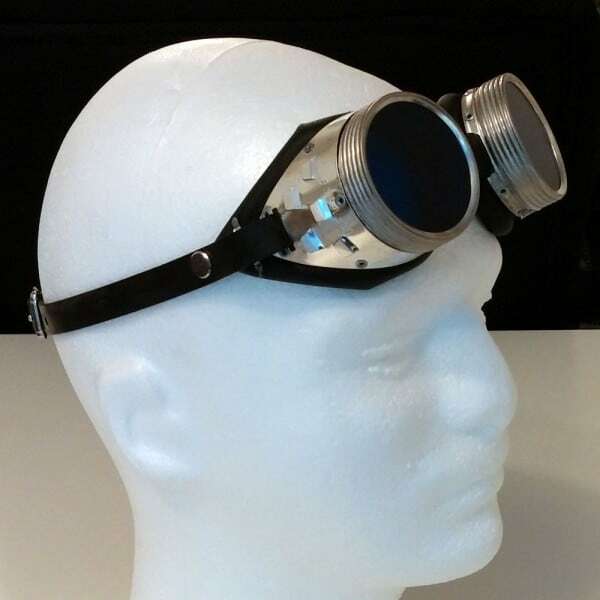 Head over to SteampunkGoggles.com to check out everything they have to offer.